I challenged myself to create an animated cartoon, from scratch, in 7 days. Thuggee Life is is what I came up with - a one note gag inspired by characters from Indiana Jones and the Temple of Doom. Music sourced from Incompetech. Sound fx and voices by Rafi Nizam. Written, designed, directed and animated (in 7 days) by Rafi Nizam. 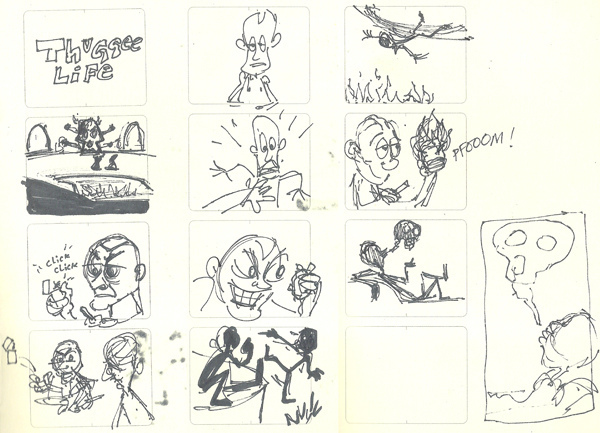 My initial storyboard, essentially a bunch of thumbnail sketches. 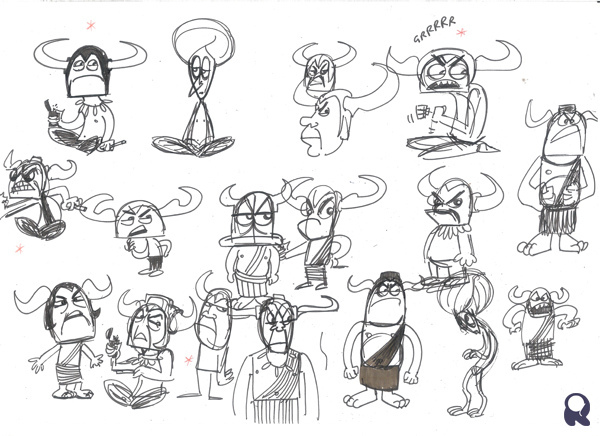 Once I had the story roughed out I played around with loose character drawings. 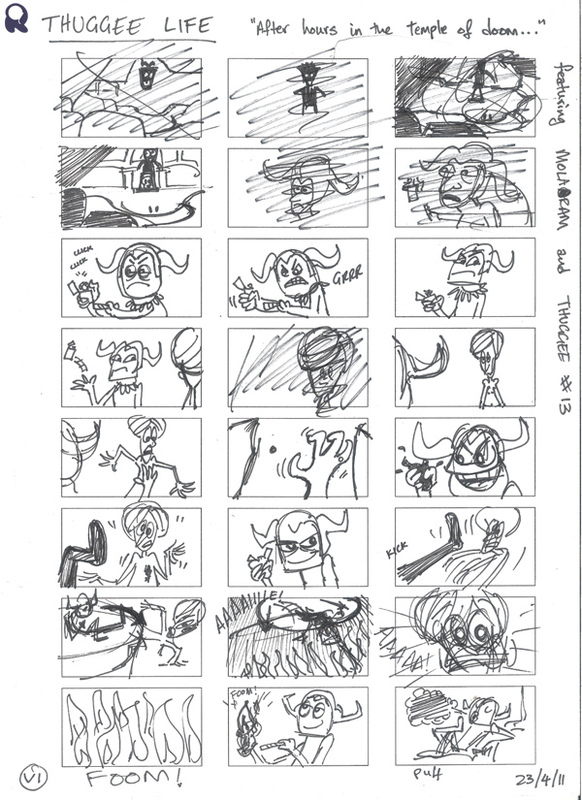 My second pass at the story board was much tighter as I began working things out. A 7 day production meant I had to go with this second draft and move onto creating a story reel / animatic. A scan from pocket note book, I was trying to figure out some acting and staging choices. This was the first line test I did of the main character. Cleaned up and inked hand-drawn frames. A line test for the sidekick. This is a short colour test using the opening, establishing shot, which gave me the palette for the full piece. Fire is integral to the plot, it's almost a third character! The flames were drawn in Illustrator then animated in After Effects. I animated the characters using a combination of hand-drawn frame by frame and digital 'cut-out' techniques.